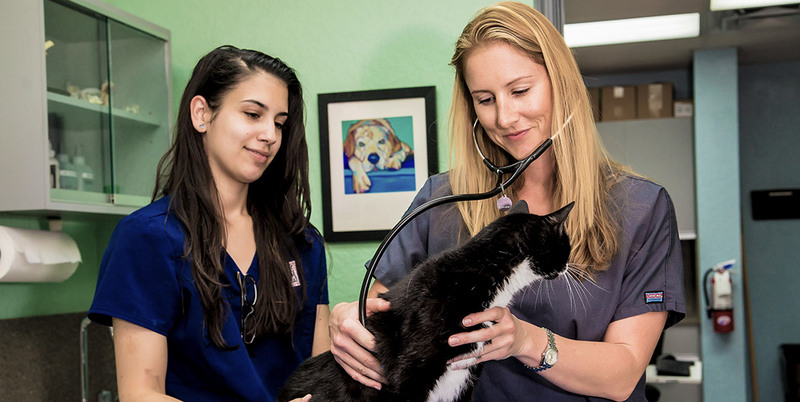 Dr. Morgan resides in Tequesta and is a native to South Florida having started her veterinary career volunteering at Coral Springs Animal Hospital at 15 years old. 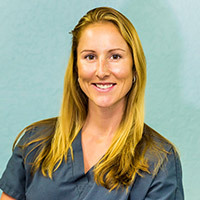 She graduated with her bachelors degree from the University of Florida and subsequently received a full scholarship to attend Ross University School of Veterinary Medicine where she graduated with her doctorate in veterinary medicine in 2011. She practiced in South Florida as well as Las Vegas where she had the opportunity to focus on small animal medicine and surgery. She has developed special interests in dermatology, cytology and internal medicine. She is an active member of the AVMA and attends annual conferences to learn the recent advances in veterinary medicine. When Dr. Morgan is not working, you can find her at the Juno dog beach playing ball with “Trapper,” her Golden Retriever and staying active and living a healthy lifestyle alongside her fiancé Chris.